As my old story goes, when I was re-doing my three bathrooms I sweated over the toilet choice more than any other. 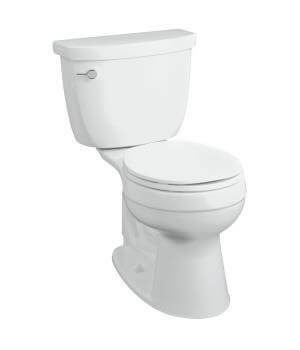 At one point I swear I could name any toilet sold in America by make and model, on sight. Most had way too many design flourishes for my retro-taste. And now today, you have the designs with NO flourishes whatsoever, the Euro-styles. The best model I found all things considered was the Wellworth, so I went for it. Now, I add the Cimarron. It has the same basic look — however, the tank is more rounded, less angular. I like it. In fact, I should be adding some more from other makers, because in the 4 years since I’ve done my bathrooms, there have been other toilets that have come on the market that would pass the test. But you get the idea from these two Kohler models. Notes: If you have a midcentury modern 60s house – you can go for a one-piece elongated model. These have a more modern look. The round-front generally takes up less space, though – another consideration if your bathroom is narrow. And don’t forget: Chrome handle, and painted wood seat and cover also attached with chrome. 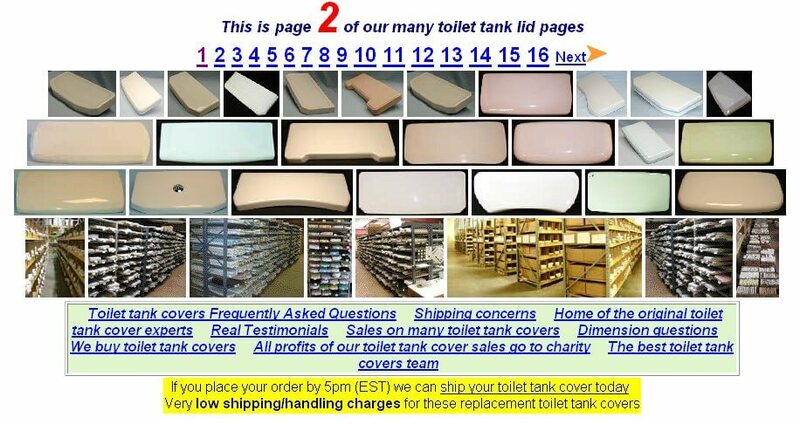 I am sorry if I overlooked it, but I have searched the “bathroom: toilets” section and I cannot find any information on the Kohler one piece toilets. We bought two of these in pink (along with three matching pink sinks and a pink bathtub) off of CL. The 1955 house we purchased had all the pink fixtures removed when they put it up for sale (our new neighbor proudly told us that he helped to smash the pink toilets). The pink tile remains. We are putting it all back. So anyway, I am curious about the year these were made; since they’re one-piece that would indicate 1960s, but I’d like to find more info if I can. 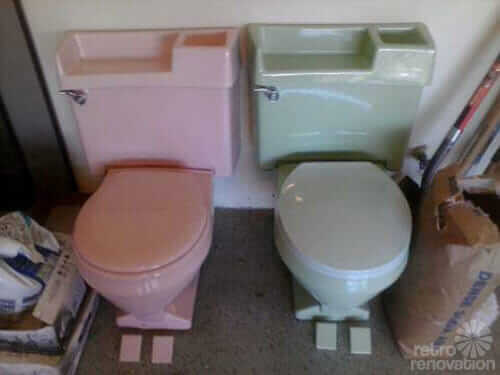 Did I miss your article about mid-century Kohler toilet styles? The Wellworth comes in dual-flush technology which is awesome and eco! I never thought “toilet talk” would interest me until now. I have installed 3 of the Kohler cimarron toilets in my 1978 home. The first one replaced the blue American Standard in the full bath. The fiberglass tub/shower unit is cracking and the blue and white swirl counter finish is worn through. We were able to sell the blue toilet to a man in georgia that needed the lid for his to match his all blue bathroom. He said he will store the rest “in case”. We just replaced the last 2 Kohler toilets in almond and Swiss Chocolate. My wife wants me to get rid of them but I haven’t found them a home yet. The new cimarrons are White, Bisque and almond. I guess I am tamer than others with color. Haha, yes, Toilet Talk is one of the most important and fascinating aspects of this community! 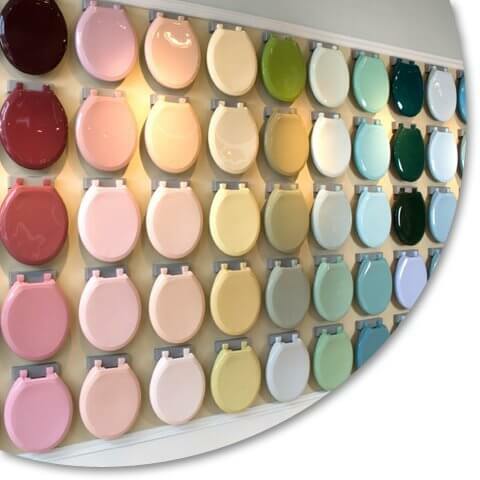 You know you’re a real member when you get hooked on toilets! Hi. I’ve need to replace the toilet in my 100-year old house. It’s got a bit of character, but is still simple. I don’t want anything over-the-top or too finicky like the Kohler Portrait. I’d like it to be simpler, and to not stand out. Any suggestions? Being in Canada, I’d appreciate a few suggestions, because some of the models available in the US aren’t sold here. Thanks! See our category Bathrooms / Toilets for all our stories on this topic. Canuckette, we don’t really do too much research on styles appropriate for a 1915 house. But see our Bathroom / Toilet category, maybe something will catch your eye. Also: Try deabath.com, they have some antique styles.